Modern Communication Technologies gives an overview of new and emerging communication technologies of recent times. It introduces in simple language communication technologies and provides additional technical details in brief for those who are more interested in the technical aspects. 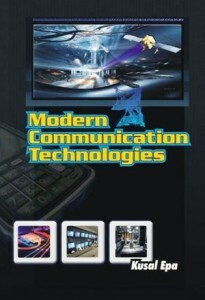 The following Analogue and Digital communication technologies are explained in this book. Mobile phone networks, Mobile phone features, Evolution of Mobile Phone Networks,Wireless Mobile Broadband – GPRS, HSDPA, HSUPA, GSM,3G UMTS, Long Term Evolution (LTE),Satellite Phones, Femtocells, CDMA,Wi-Fi, Bluetooth, WiMax, ADSL, ISDN, Leased lines, Fibre Optic communications, Metro Ethernet, FM Radio, Digital Audio Broadcasting (DAB), Satellite Radio, Television, Digital Television, Satellite Television, Cable TV, IPTV, Internet, Voice over Internet Protocol (VOIP), SIP (Session Initiation Protocol), Dial Up Modems, GPS Navigation system, Trunked Radio, Cordless Telephones, Facsimile. 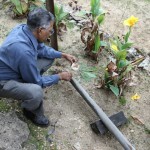 As members would know this repeater which was the first to have been installed in Sri Lanka in the early 1980s at the OTS tower has had a long history. 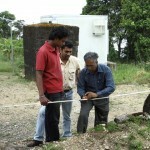 From the OTS tower it was moved to Oliphant Estate Nuwara Eliya where TNL is located. This was later moved to the HNB Towers and then to Gongala. 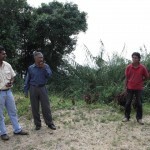 It was severely damaged in Gongala by lightning and was brought down to Colombo. 4S7LF who has vast experience at Stono as one of their senior engineers, was able to restore it back to its original state. However, it needed a new 24v power supply and a controller unit. We wish to thank Ron 4S7RO and Rohan 4S7RL for designing a controller unit and building it locally to highly professional standards for their home brew repeater, which was under test some months back, which has been made available to the RSSL for this repeater. Since the 10th of February the repeater is under test. It is carrier operated and gives the station ID 4S7RS, courtesy pips, and can be shut down when needed remotely. 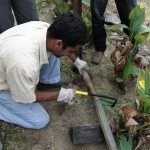 Temporarily, it is connected to 4S7ROs Yagi and is directed towards Colombo. The direction is changed from time to time during the test period. 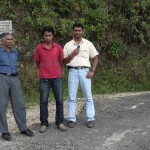 It is hoped to go up either at HNB Towers or at Nuwara Eliya after the test period. Please try to check in and give us reports. The repeater runs at 3 watts. We record our appreciation of Leo 4S7LF, Rohan 4S7RO and 4S7RL Rohan for their untiring efforts to get the repeater back on the air. 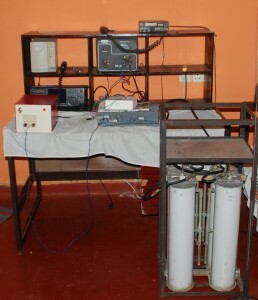 The Radio Society of Sri Lanka received a donation of equipment to run an Echolink node in Colombo immediately after the Tsunami of 26th December 2004 from radio amateurs in the USA. 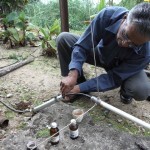 It has been serving Amateur Radio in Sri Lanka ever since with occasional outages when there were computer breakdowns. 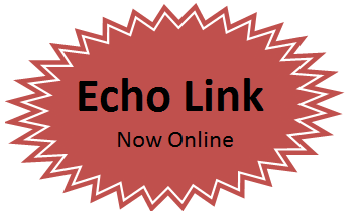 Since last evening net time, the Echolink is functioning thanks to our Echo-link coordinator 4S6ABC Bharath. Please check it out and let us have your feed back. 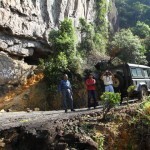 On the 20th of January a team from the RSSL went up to Yati in Nadika’s (4S5NCH) Land Rover along with the repeater coordinator Wijay 4S7VJ, Jaliya 4S7JL and Thilan 4S5TNT to effect urgent repairs to the antenna and for general maintenance. 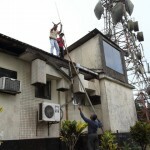 The antenna was replaced by 4S7VJ having repaired the broken antenna that was brought from the Gongala repeater test effort and installed at Yati. A new low/no maintenance battery was also installed as the old battery had served 3 long years, along with a lightning arrestor which was brought by 4S6ABC from Singapore for the RSSL. We like to place on record the appreciation of the team that went up there at very short notice and also note with gratitude doing so at no cost to the RSSL for transport. Such is the dedication of the RSSL hams. It is the ham spirit of these dedicated guys that keep amateur radio alive and kicking, going out of their way at personal expense to serve the community. All appear to be excellent at the point of writing. Nadika is in the process of completing a coverage map and we welcome your input so that members could be better informed about its coverage. 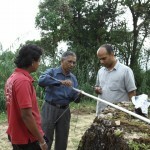 The RSSL is in the process of compiling a “Coverage map ” for Yatiyanthota repeater. We would greatly appreciate your coverage data to compile this map. 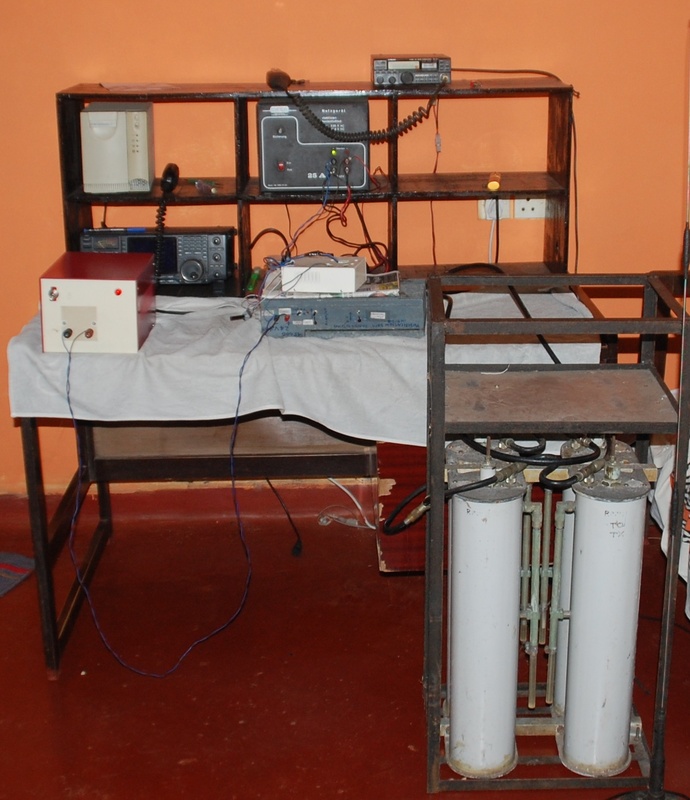 Please send all the points (preferably the GPS coordinates ) you have accessed the Yatiyanthota repeater with details of your working conditions (output power and antenna ) to 4s7vk@rssl.lk and/or admin@rssl.lk . GPS points (Lat/ Long) can be easily obtained from Google Earth®. An incomplete sample map attached below.